There are currently 21 MLS Listings in the search: Residential Properties for sale from $800000 to $900000 in Palm Beach FL. Click on a listing to the view property details, photos and agent comments. If you would like to change or expand your search criteria, go back to the main Palm Beach search page, or try using our Advanced Search. 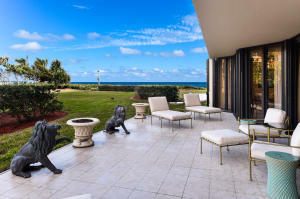 This stunning 2 bedroom - 2 bath with ocean views and sunny southern exposure is the perfect winter get-away. Large white porcelain tile floors flow thru the unit. Thereare two drop dead beautiful bathrooms and built-in closets. The kitchen has been tastefully renovated and there is a new kitchen appliances & washer/dryer, AC & water-heater. There is a storage locker on the floor and large locker on the first floor. There is a spectacular 40 foot terrace which is like having an outdoor living room! 24/7 Manned Gatehouse & 2 assigned parking spaces. 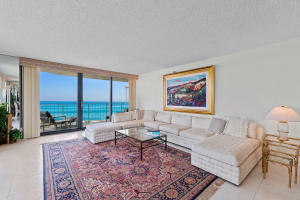 This is truly a great opportunity in this newly renovated oceanfront building, just steps from the Four Seasons Hotel. Bright, sunny, and white with 9 foot ceilings, are what describe this gorgeous designer owned two bedroom, two bath corner unit condo situated on the private enclave of Ibis Island. This elegant apartment has the best of everything.Enjoy the magnificent sunsets, generously-sized rooms, and a substantial wrap-around balcony.Ibis Isle is a sought after enclave of Palm Beach Island which is noted for it's two pools and private walking trails. 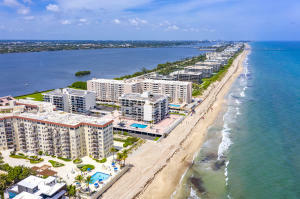 it is close to the world famous Worth Ave, Palm Beach International airport, Par Three Golf Course, Phipps Park Tennis Center,and the ocean! BEST VALUE IN PALM BEACH! 3,200 SqFt Penthouse ready to make deal! 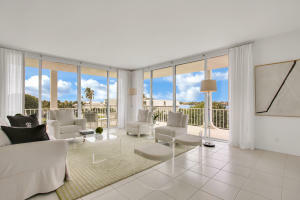 Amazing ocean views from every room of this desirable, huge Palm Beach Penthouse! 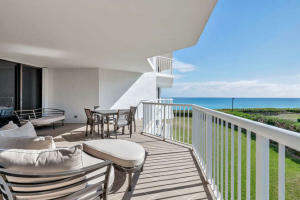 Look no further for a fantastic direct oceanfront renovated 3 bedroom - 3 1/2 bath condo with tons of space, a unique 31x15 bonus room and gorgeous views. 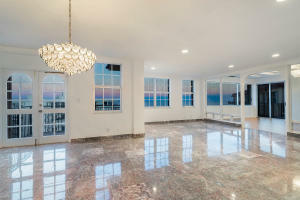 This sensational oceanfront penthouse has beautiful marble floors throughout, an open kitchen and marble bath. 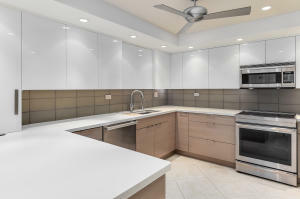 A renovated chef's kitchen has professional 48'' Stainless steel refrigerator, wine cooler, and appliances. This fantastic property offers you a relaxed beach house atmosphere, just steps away from the renovated pool deck and ocean & beach! SELLER PAYS ASSESSMENT! Be the FIRST residents to enjoy gorgeous sunrises and stunning panoramic ocean views from every room in this newly renovated, contemporary 2 bedroom/2 bath Palm Beach condo with private, wrap-around lanai, open kitchen with huge quartz-topped island and soft-close drawers, solid interior doors with brushed nickel hardware, BRAND NEW kitchen appliances, stacked washed/dryer with laundry sink, LED lighting, blackout shades in bedrooms, built-in desk in convertible second bedroom/office with french doors, closets w/ built-ins, oversized elegant porcelain dolomite-look tile throughout with tile wall behind free-standing tub. Also, don't worry about shutters or window-treatments because the BRAND new impact doors and windows are tinted. 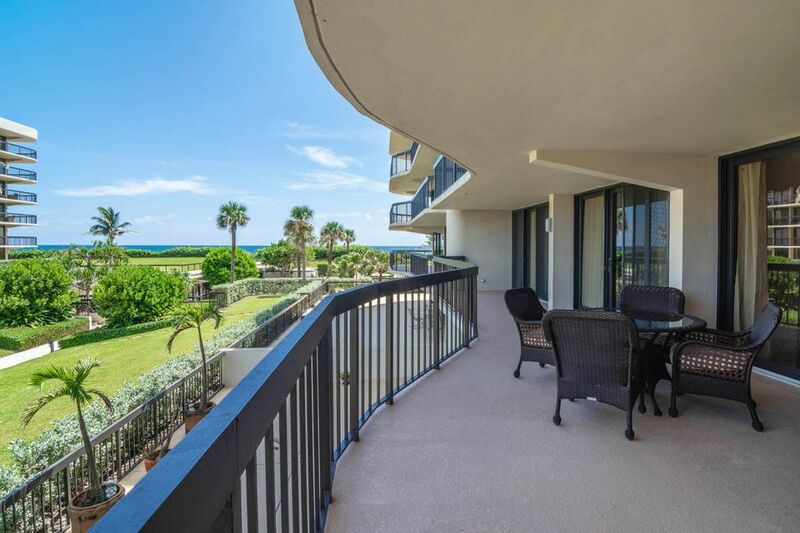 MLS #RX-10519506 Listing courtesy of Partnership Realty Inc.
Fabulous panoramic ocean and intracoastal views (with wrap around balconies) abound from every room of this 3 bedroom, 2 full and 1 half bath fifth floor condo. This condo features a large master bedroom suite, eat-in kitchen, floor to ceiling impact glass windows and doors in every room. 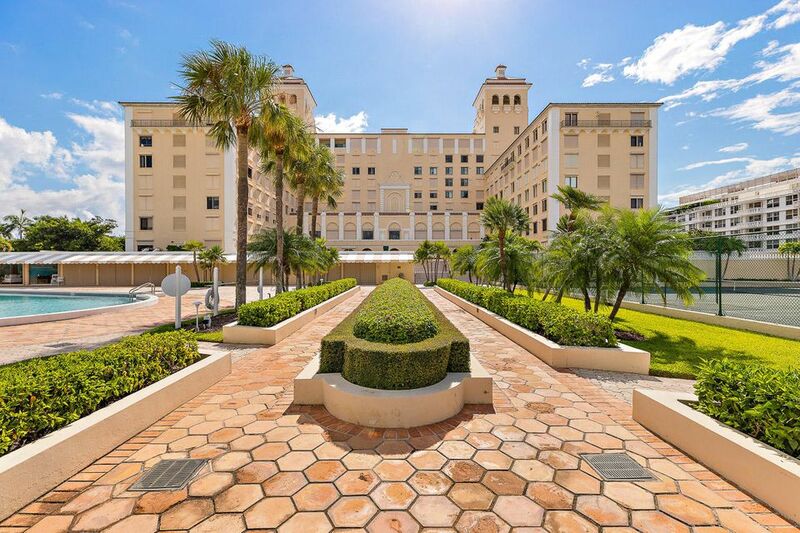 This prestigious oceanfront building offers every amenity including: 24/7 door people, state of the art gym, tennis, garage parking, storage units and a gorgeous pool area leading to a pristine ocean. A cabana is also available at an additional price. 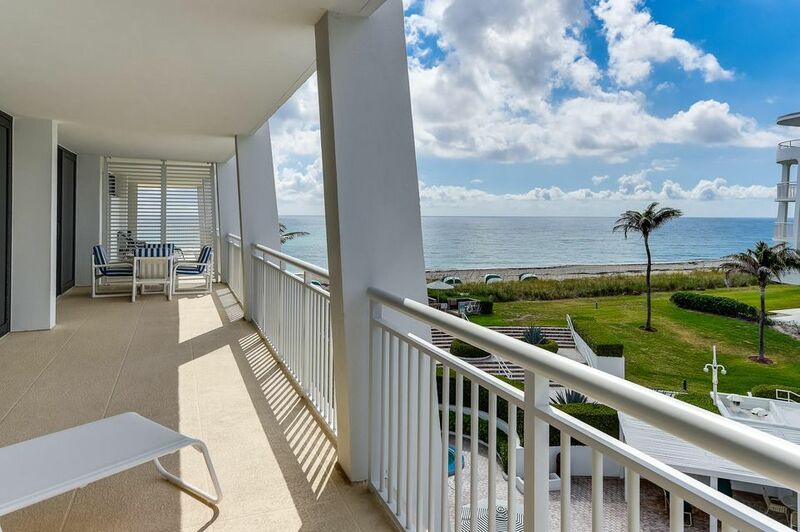 Beautiful ocean views from this spacious 2 bedroom/2 bath apartment at the Enclave. 2,350 sq ft of living space with numerous upgrades including high quality impact doors throughout. 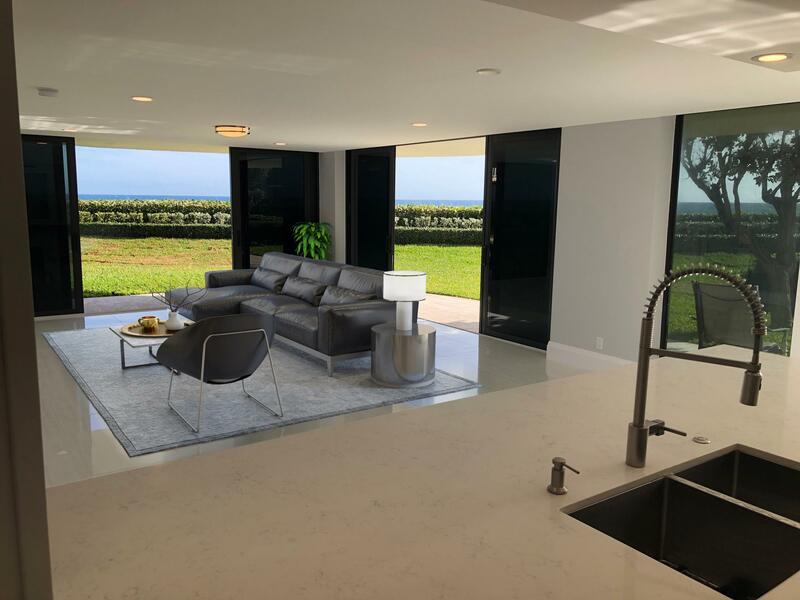 The Enclave is one of Palm Beach's premier oceanfront condominiums with a wide beach and brand new pool and spa deck designed by renowned landscape architect Mario Nievera. 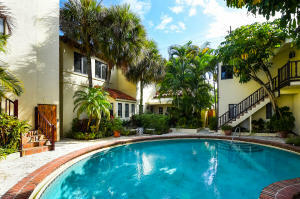 It offers an abundance of amenities and services including 2 Har-Tru clay tennis courts, 24 hr. manned gatehouse and doormen, garage parking, fitness center, club room and rare 2 bedroom guest suite available for residents to reserve for visitors. Pet friendly!